The other night I tested a tuna burger. This is a tuna burger made from a tuna can. Mundane, maybe not as fancy, but it passed the test with flying colors. 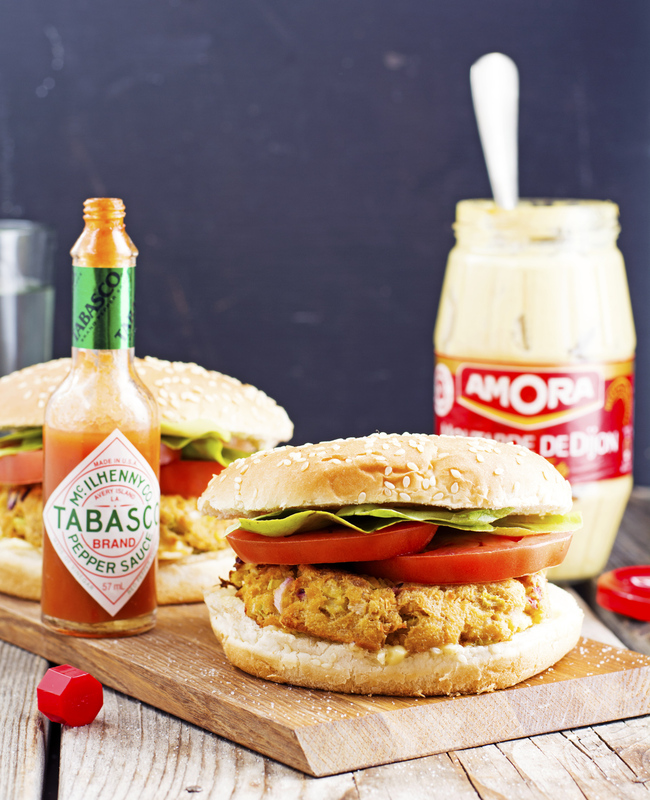 This tuna burger has a lot going for it and you get a nice chunky bunful to sink your teeth into. The onion and celery not only add flavour and aroma but also a surprising crunch. Flavorwise it’s perfect (yes, perfect) with the Dijon mustard and the Tabasco sauce. 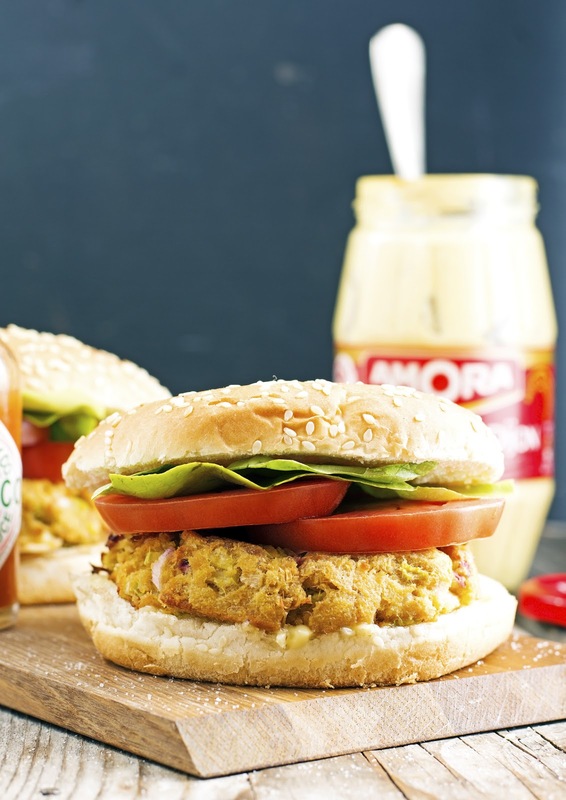 To be honest this is truly a stellar fish burger recipe that is a snap to whip up anytime you don’t feel like having just a regular burger. Easy, tasty, inexpensive and oh-so-delicious. I call it a success! 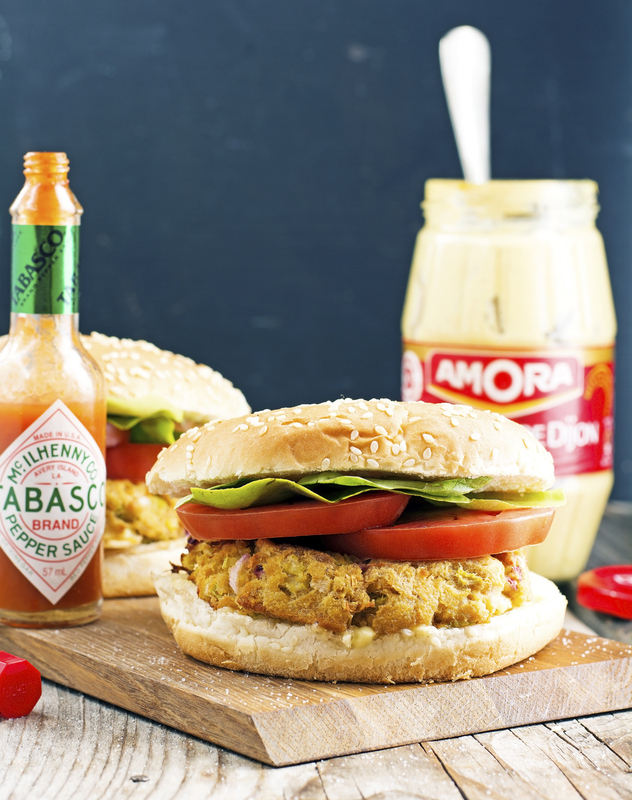 Tuna Burgers For Two Print this recipe! Set your oven to its broil setting and let it heat up. Lightly grease a baking sheet and set aside. In a large bowl, combine tuna, breadcrumbs, and egg. Add onion, celery, lemon juice, mustard, Tabasco sauce, garlic, ground black pepper, and mix to combine. Form the mixture into 2 patties, about ½-inch thick. One tuna patty yields 219 calories, 8 grams of fat, 15 grams of carbs, and 23 grams of protein. I currently have like 11 cans of tuna in my pantry and I had no idea what to do with them until now! YES to hearty burgers that aren't made of beef! I thought this was a fried chicken sandwich if I didn't read the recipe title. All the kinda things I put in my tuna melt, but this kicks it up - broiled and crunchy! Good use for canned tuna! I prefer to cook the patties over a hot plate. Oh hello deliciousness! I'm with you - I love me a GOOD BURGER! I haven't had a fish burger but it has been on my list of things to try. Beef is a pretty big deal around my family so getting them to opt for something else sometimes needs a bit of coaxing.